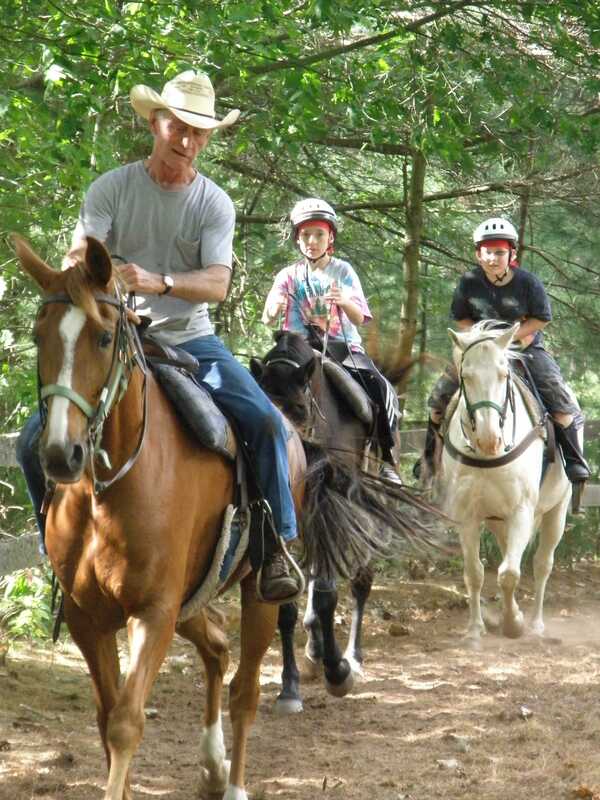 Today’s blog is written by Towering Pines Riding Instructor Jerry Abney. Jerry is a retired school Principal, a second-generation TP staff member, and a lifelong cowboy. Jerry is the son of the legendary Win Abney, Towering Pine’s original Riding Instructor, who served at TP for several decades. 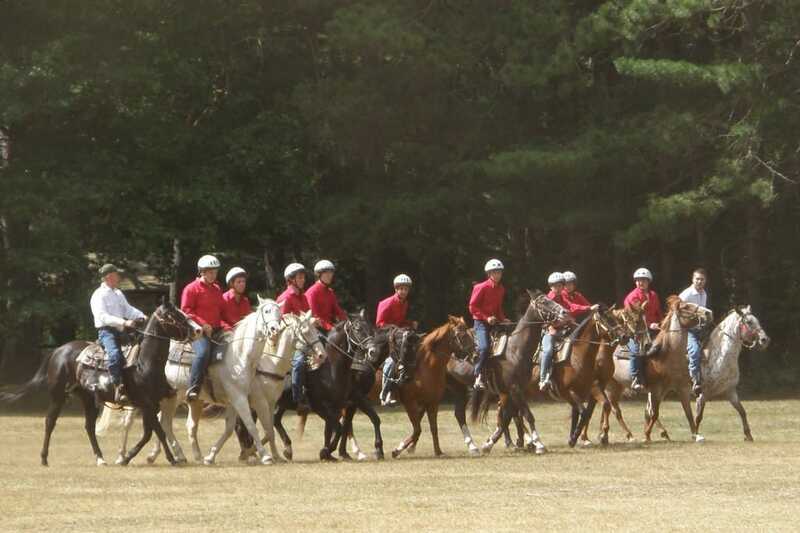 Although we have never met, Camp Director Jeff Jordan seems insistent that I should drop you a quick note about the Towering Pines riding program and the start of camp. I don’t recall you as a camper. I was here at Towering Pines from 1959-64, and with a name like “Blog”, I’d surely remember you. Funny, Dad doesn’t remember you either. Did you ride? Regardless, after the longest, coldest winter I can recall, summer is in full bloom with the opening of camp and the passing of the Solstice. There have been quite a few changes in the horse line-up. At Camp Woodland, Jake has retired because of arthritis. He’s on my ranch at home, loafing with the replacement stock. A tall saddle-bred named “Big Red” has filled his stall. Things are running well at Woodland, which is a real tribute to the young ladies running the program. I’m pleased and impressed! At Towering Pines, we have a pair of geldings in the barn. Mitch is a lanky, Western-style Paint Horse and Iron Grey is a big handsome steel gray that I think will become a real dandy. Iron Grey is figured to fill Ace’s slot when the time comes Ace, bless his aging soul, will only be with us for 3 weeks this summer, then sent home to relax the rest of the season. Ace is almost as big a legend as my dad Win, and surely, Blog, you remember him from your days as a camper. Many of our TP Red Shirt campers have moved on to positions as Counselors, and I’m really proud of them. Now they serve as assistant Riding Instructors. With their horsemanship and skills learned from working with young riders, I’m confident that they’ll serve TP well in their new role as Counselors. In the meantime, a fine crop of younger boys are stepping up to the role of barn crew Red Shirts and are doing well. 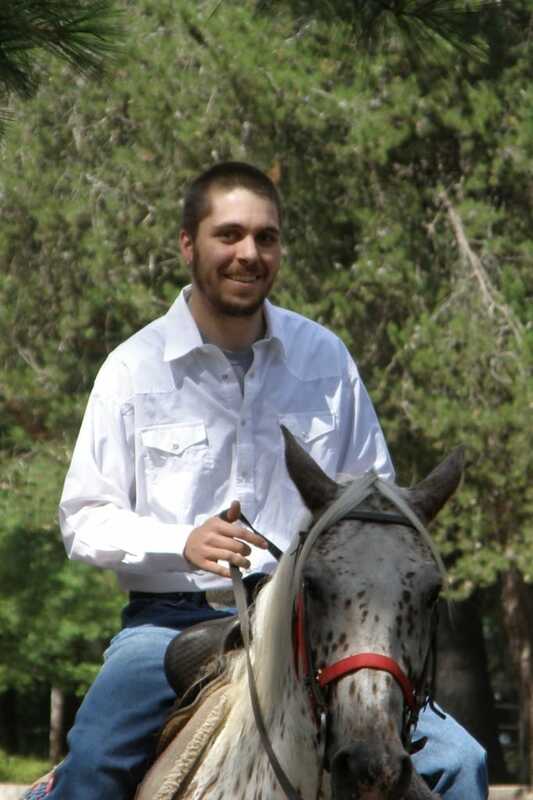 Alex Behnke, the Assistant Riding Director is also back for his 4th year in this role and brings excellent leadership to our management team. As usual, the flies and mosquitoes are here in force – but that’s hardly news. With several full days of riding behind us, it’s shaping up to be another excellent year at TP & Woodland – but that’s not really a new thing either! Well Blog, I’ll sign off and hope you can get up to camp this summer for a visit or the Horse Show. I’d really be curious to meet you – because it seems everyone knows you except me! Do you know any of the Bartell or Wells boys? They were here after me. Just curious.